Fine silver chain style bracelet with organic bubble design and gold toggle clasp. 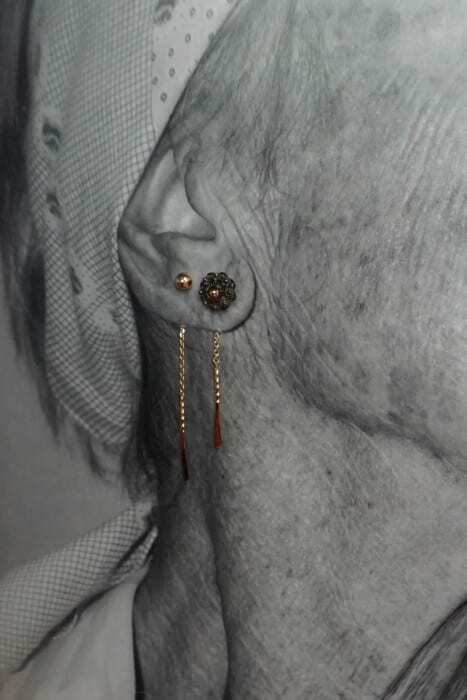 We thought you would like to know has been eyeing up our Fine Silver 14k Yellow Gold Beaded Bracelet for some time now and has requested we bring it your attention. What's your question about Fine Silver 14k Yellow Gold Beaded Bracelet? 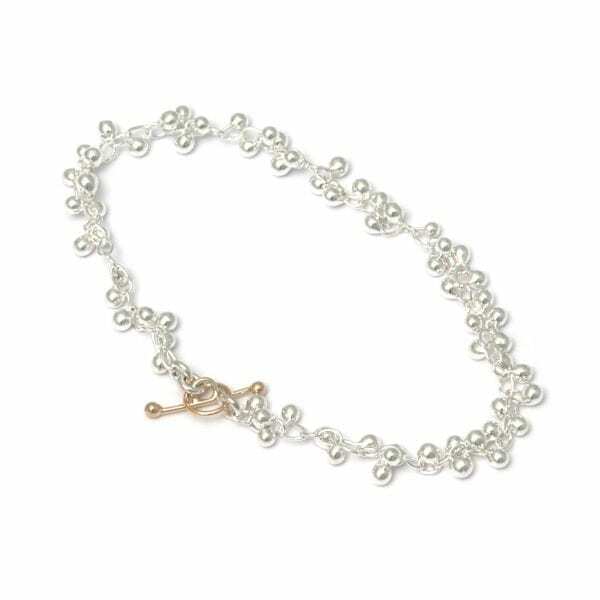 This stunning sterling silver beaded bracelet is embellished with a decorative 14k yellow gold toggle clasp. 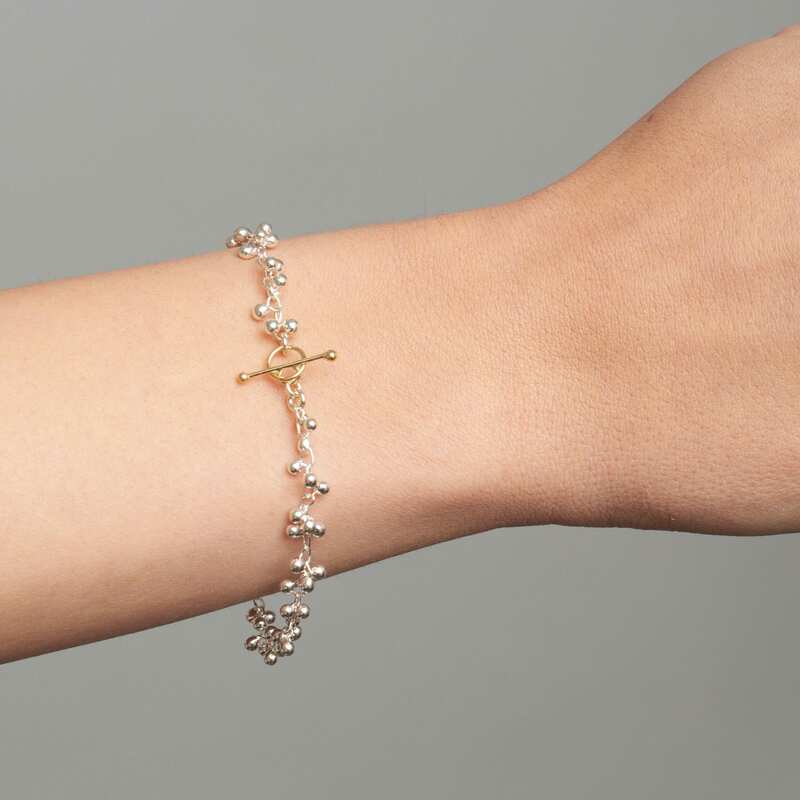 It is delicate bracelet looks and moves wonderfully on the wrist.